Since its founding in 1977, the Greensboro Historical Society has brought together diverse people from the community: descendants of founding families, new residents, members of the summer community, school children, working people and those who have chosen to retire in our town. All come together to celebrate and learn from our predecessors in this special place. 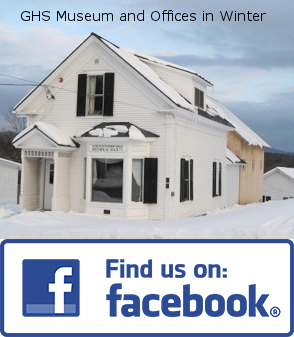 Our membership in this small town is more than 300 families. 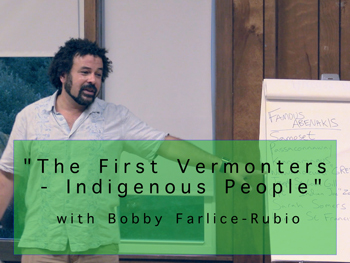 "The First Vermonters -- Indigenous People"
"Treasures from the VHS Attic"
The Abenaki people have lived in Vermont for thousands of years, and they are still here today. 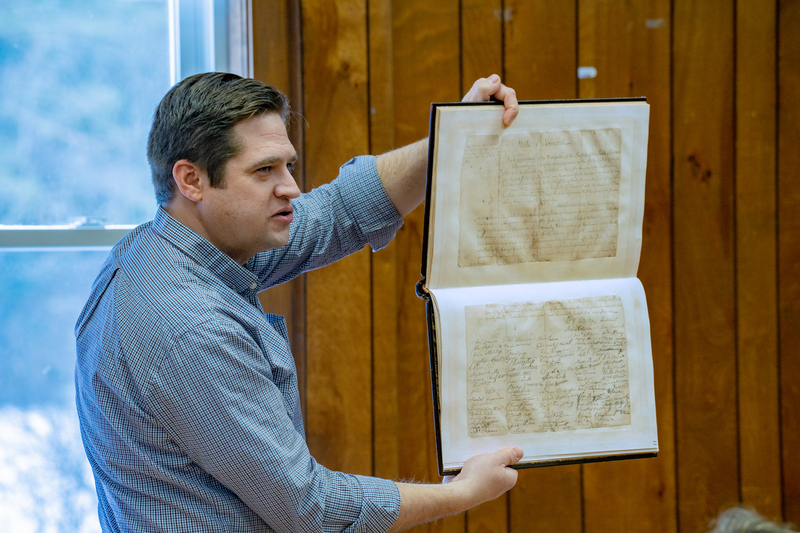 By focusing on the individual lives of seven famous Abenakis from different centuries, we’ll explore how their culture has survived the centuries and evolved to meet the challenges of a changing world. We’ll also discover how the Abenaki Nation has shaped the present and future of all of Vermont’s people. 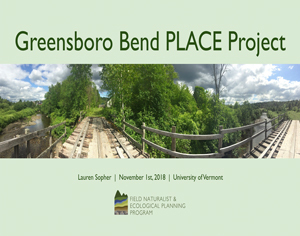 "Greensboro in the Gazette - Photos from 1978 - 1994"
The GHS (along with the Greensboro Planning Commission) helped support Lauren Sopher with her culminating project from the Field Naturalist and Ecological Planning graduate program at the University of Vermont. This "PLACE" project focused on the "Place-based Landscape Analysis & Community Engagement" of Greensboro Bend. Click on the image to the right to view the video. The Fall 2018 edition of the GHS NEWSLETTER is now online. Our new anthology of writings from that journal, is now available for sale at the historical society building and the Willey's Store at $24.95 per copy. 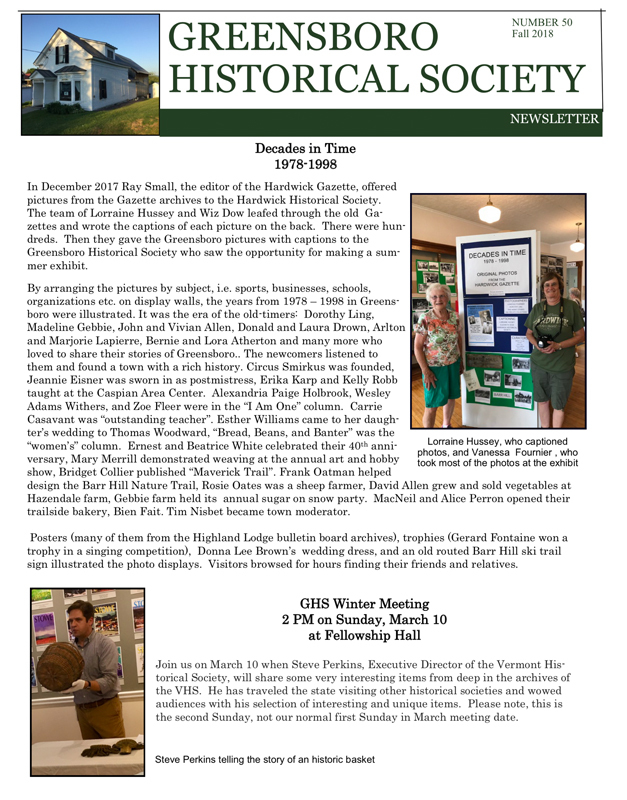 Containing articles about Greensboro, Craftsbury, Hardwick, and Walden, it includes pieces by Allen Davis, Charlie Morrissey, Lewis Hill, Sally Fisher, Alan Howes and many others, Some of the older articles have been updated, and there are several new photographs. As Pulitzer Prize-winning author and Greensboro summer resident Wallace Stegner wrote in the foreword to The History of Greensboro, the First Two Hundred Years (1990), "Local history is the best history, the history with more of its readers in it than any other kind. It is immediate, personally apprehended ... It is the record of human living in its daily complexity and the sense of place in it is strong." This insight helps to explain the strong support GHS continues to enjoy. Click on the upper left-hand corner of the video below to see our recent videos! We enjoy monthly luncheon meetings and a summer ice cream social with old-time games for children; and we conduct an annual book sale each autumn.